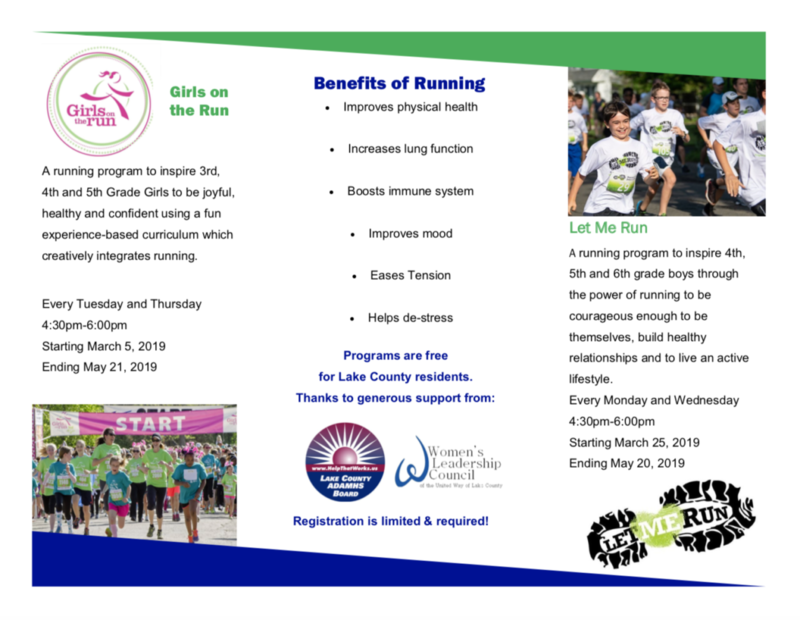 A running program to inspire 3rd, 4th and 5th grade girls to be joyful, healthy and confident using a fun experience-based curriculum which creatively integrates running. Every Tuesday and Thursday, 4:30pm–6:00pm from March 5th through May 21st. FREE for Lake County residents, but registration is limited and required! 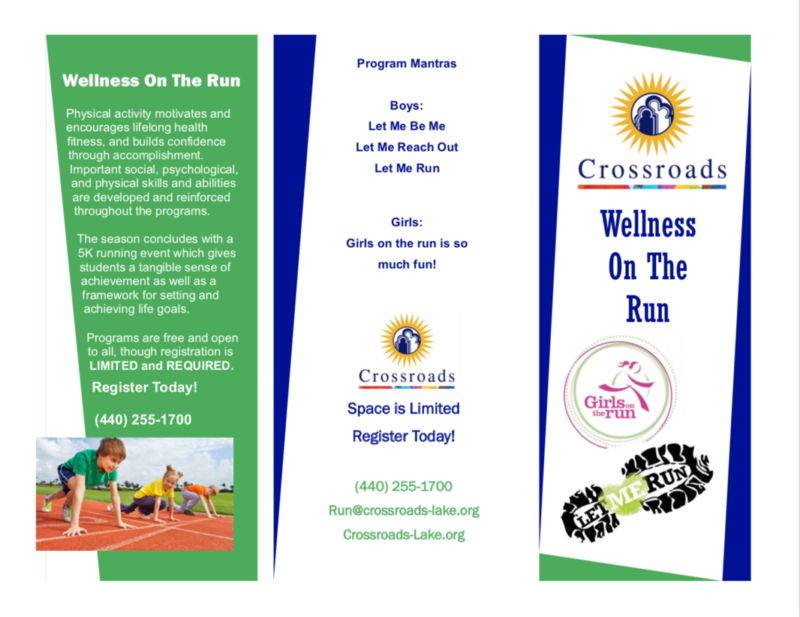 Call 440-255-1700 or email Run@crossroads-lake.org to register today!